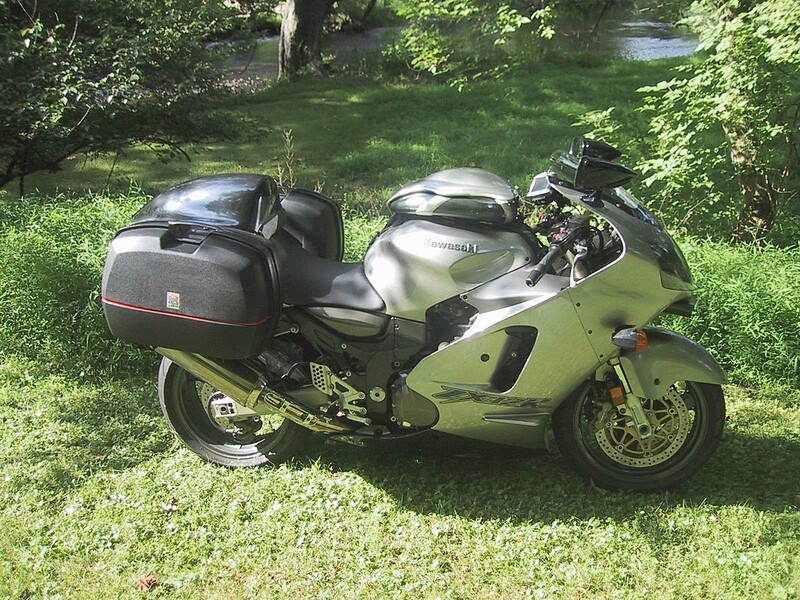 Silver 2001 ZX12r 20,000mi. Project bike. Landlord knocked it over in the garage (2X) so it has some scratches. It starts and runs but will need head gasket. Local Pick up only, Newton NJ (just off Rt 80 by the Delaware Water Gap). Comes with Givi Hard Bags, fiberglass tank bag and tail bag but has all the original body parts. 2 Attachment(s) Wtb tank bra.